Mash lightly the cooked rice as per your liking. Add Milk and curd to rice. 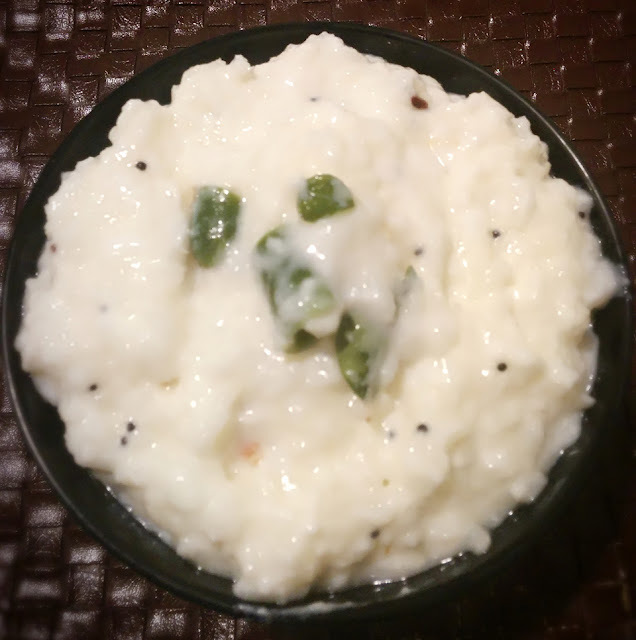 Milk is optional if the curd rice is going to be served immediately. Add mustard and when they start to splutter, add black gram dals and fry until golden. Put asafotida and switch off the stove. Serve with lemon or mango pickle.